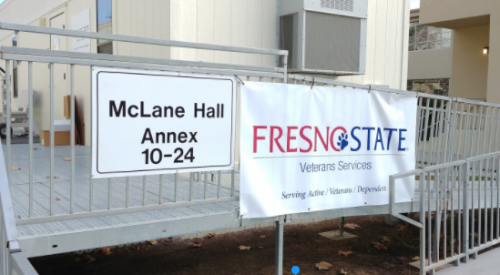 Fresno State will head to No. 12 seed UCLA for the first round of the NCAA Women’s Tennis Championships on May 11. 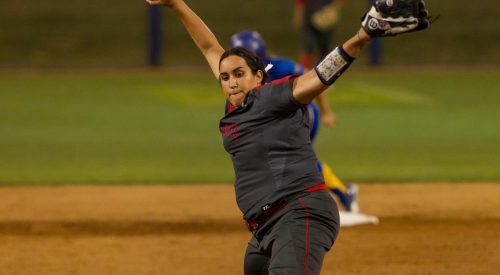 The news comes days after the ‘Dogs won the Mountain West Championships in Boise, Idaho, against No. 1 UNLV, 4-2. The UCLA match is set for 1 p.m. at the Los Angeles Tennis Center. The ‘Dogs are entering the NCAA tournament with a Mountain West title, a 3-1 conference record and a hot streak to go with it. They have won eight of their last nine matches. “We have a chance to beat an amazing team like UCLA. I know our team is much more excited this time around, and we’re playing at the highest level we have all year,” Stotland said. The Bruins are coming in hot as well. The team just finished runner-up to Stanford in the Pac-12 Conference. It boasts a 20-5 record and 1-0 record over Fresno State earlier this season. The ‘Dogs punched their ticket to the Mountain West Championships after defeating No. 10 Utah, 4-1 in the quarterfinals and No. 3 San Jose State, 4-0 in the semifinals. “After we got out of that first round, we really just believed in ourselves. That was key,” Stotland said. The ‘Dogs faced the Rebels on April 29 in the Championships. 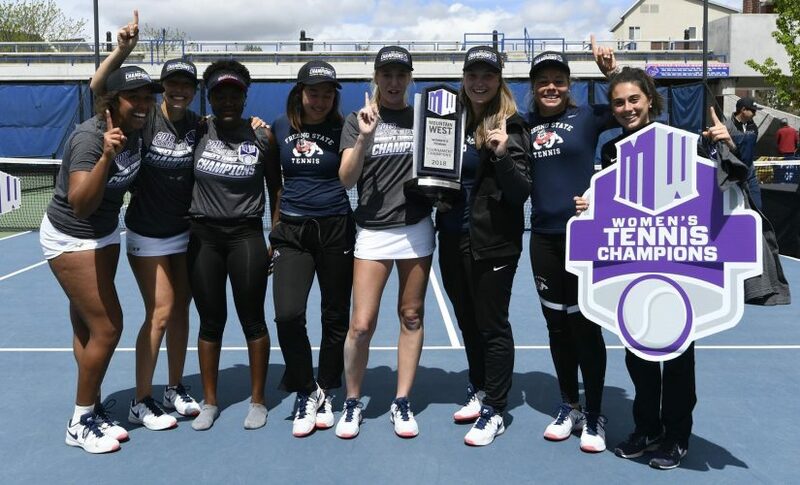 Sophomore Katerina Stlouklova clinched Fresno State’s second MW title in five years in three sets right after England native Georgia Lawson and junior Olivia Noble secured a pair of straight-set wins in singles. The ‘Dogs are also going into the NCAA tournament with a league-best three All-MW singles selections in junior Emma Wilson, sophomore Juliane Triebe and Stlouklova as well as a All-MW doubles team selection in Wilson and Lawson. The second round will start at 3 p.m. on May 12 at the Los Angeles Tennis Center. The winner of the four-team regional will advance to the Round of 16 in the Wake Forest Tennis Complex in Winston-Salem, North Carolina and compete for the national championships from May 17-22.